The CEO of Autodesk, Andrew Anagnost, tells John Kennedy about the biggest technological shift yet in the computer-aided design world. If you are an architect, an engineer, a builder or a jet designer, you know Autodesk. In fact, if you design anything, you know or use Autodesk. Since the early 1980s, the computer-aided design (CAD) software company has been the platform of choice of designers, architects and planners creating everything from homes, office buildings and vehicles to complex electronics products. But now, according to Autodesk CEO Andrew Anagnost, the capabilities of the advanced CAD platform are about to be truly tested and transformed. 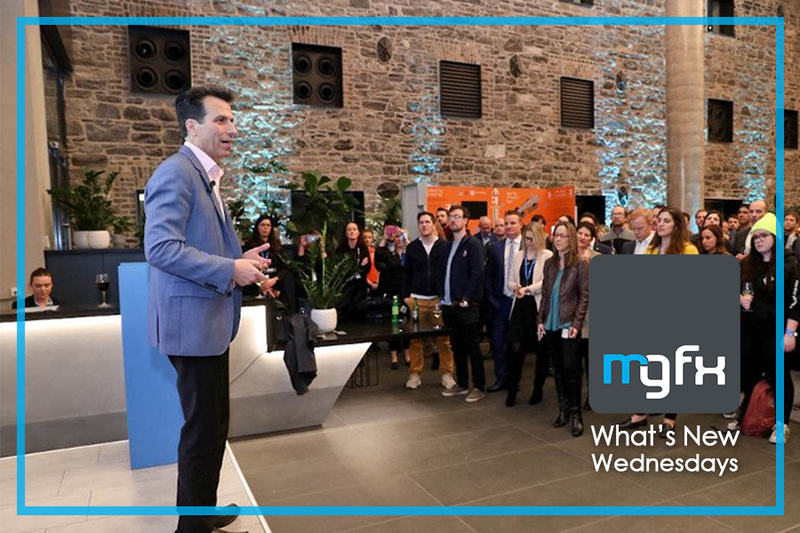 I was speaking with Anagnost at the opening of Autodesk’s new EMEA headquarters in Dublin at Windmill Lane. Since the firm’s arrival in the capital, 170 employees have joined the Irish Autodesk team, supporting EMEA operations including finance, localisation and sales operations. The company’s products have helped design some of Ireland’s most iconic structures, from the Samuel Beckett Bridge to the Guinness Storehouse. According to Anagnost, the CAD world is evolving from the design of static structures to include the designs of the actual systems that also run buildings, machines and more. Anagnost said that even applications such as AutoCAD, which used to be the barometer of the company’s revenue, is 40pc of revenue right now while products such as Revit, a building information modelling software for architects and engineers, are ascendant. According to Anagnost, the shift from models to systems is in keeping with the overall shift in technology from devices that used to sit on desks to intelligence, automation and collaboration being layered into everything. A good analogy would be an architect designing a building but also collaborating with the technologists designing the building management systems, such as those in environmental, communications and security controls. Or a car body designer working more collaboratively with the engine and electronics designers all at the same time. “What happens is, we can use technology to arbitrate conversations between disciplines that were typically siloed, and through things and over the wall to each other. We can facilitate conversations between them in highly automated ways and actually allow them to see the impact of each other’s work in real time and actually make better decisions. “The idea is to drive down the cost and complexity of building things and at the same time enable people to build things a lot better so that buildings are more efficient. When we build them we can use materials so that there’s less waste at the construction site, so we are trying to use automation to really enable people to solve classical problems of capacity in the building world. Wait a minute, is Anagnost saying we can soon have buildings designed by AIs? In essence, rather than replacing or threatening the existence of designers or architects, AI and machine learning will augment and enhance their expertise by calculating new routes and possibilities. “It is about understanding what the people or the person using really wants, and the better they understand that and can articulate that to the design system, the more robust and efficient options they will get back. I ask Anagnost about Autodesk’s rapid growth to 170 people in Dublin more than a year after announcing its arrival. “That’s a testimony to the talent pool, to be frank, and the attraction of the area. If we couldn’t find the people, we could easily find someone that would move here. It really is a testimony to Dublin as a good choice. “Finance, localisation, inside sales, client services, tax is located here; over time we will probably continue to add additional disciplines here. So, what does the future hold for Autodesk? “Fundamentally, everything is going to be in the cloud. Any software company that is relevant and important 10 years from now is going to be 100pc cloud. Crucially, Anagnost is passionate about enabling construction in a world that actually needs more buildings, not fewer. “I am excited about bringing manufacturing methods to construction. We are going to be building buildings and bridges the same way we build aeroplanes and automobiles. “Look, there is a fundamental capacity problem in the world. It is not about money; there is not enough labour or resources and not enough capacity in the environment to build what we need to build without destroying the planet. “Automation is going to help us solve that capacity problem. Will there be fewer people working on a project? Yes. Will there be more people doing more projects? Yes, absolutely – and we’ll be dealing with a lot less waste. “Look at the world around us right now, we’ve got to build a lot of stuff. Infrastructure is crumbling everywhere in the world,” Anagnost warned. Let Micrographics assist you with the move to systems because people, systems and businesses perform better with Micrographics! Contacts us now or view our Autodesk range.